The flagship of the Lamborghini Stable, the Aventador makes a statement all on its own. 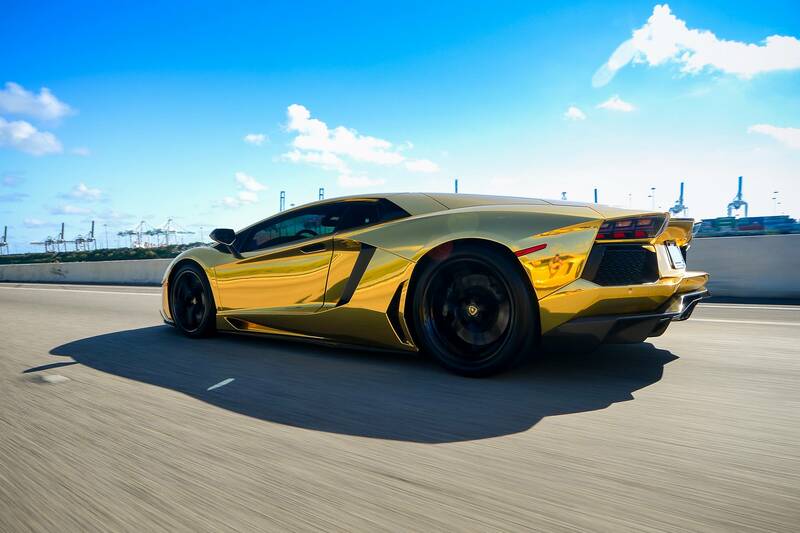 Imagine the reaction our Gold Aventador gets! With a 6.5-litre, V12 engine which produces 700 HP at 8,250 rpm and 509 lb-ft at 5,500 rpm this car is impresive . The output of the Aventadors engine is just enough to send it from 0-60 mph in just 2.9 seconds while blasting off a top speed of 217 mph. Imagine all this in this radical gold color. 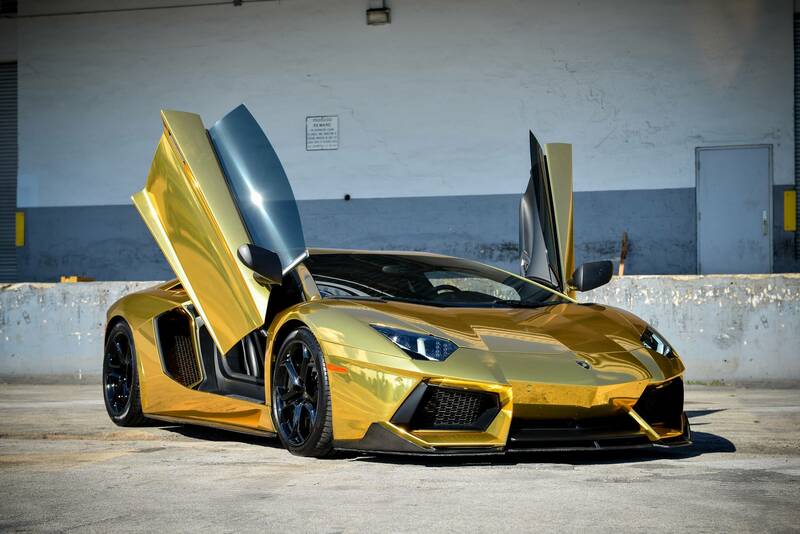 This Aventador is brutally powerful and obscenely flamboyant. It’s both severe and elegant and makes a statement wherever you pull up. The cockpit has the appearance of a stealth fighter and at times you will feel as if you are in one. Don’t be alarmed if people look at you like you are driving a Spaceship down the street. You just might be! Drive down South Beach or blaze down the I95. 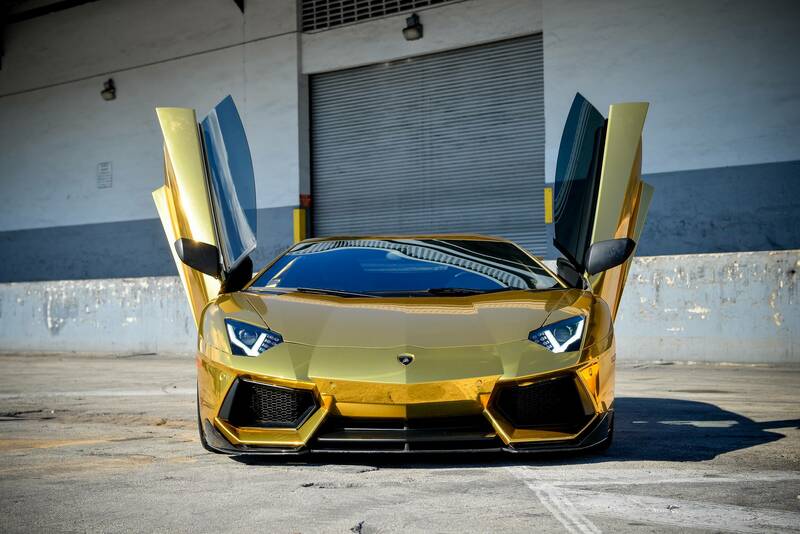 If speed, performance and a second to none experience is what you’re looking for the Gold Aventador will satisfy all your needs. 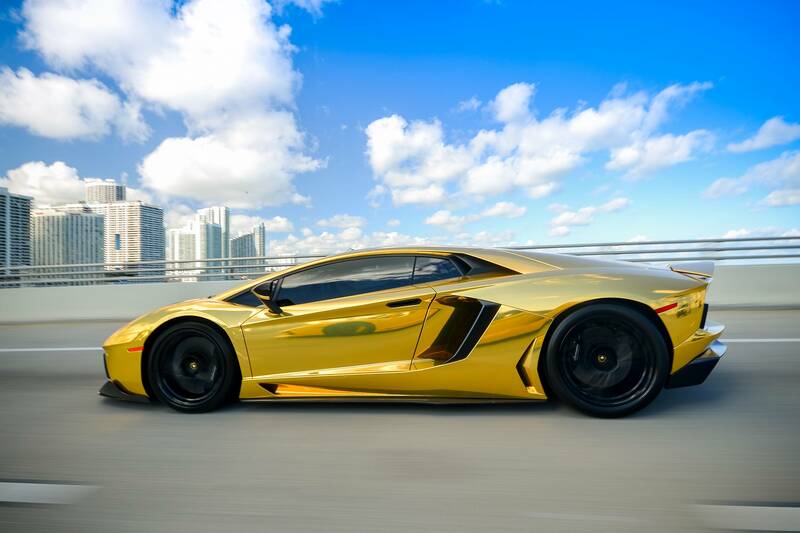 Call and inquire today about renting our world famous Gold Lamborghini Aventador that can only be offered by Elite Luxury Rentals.